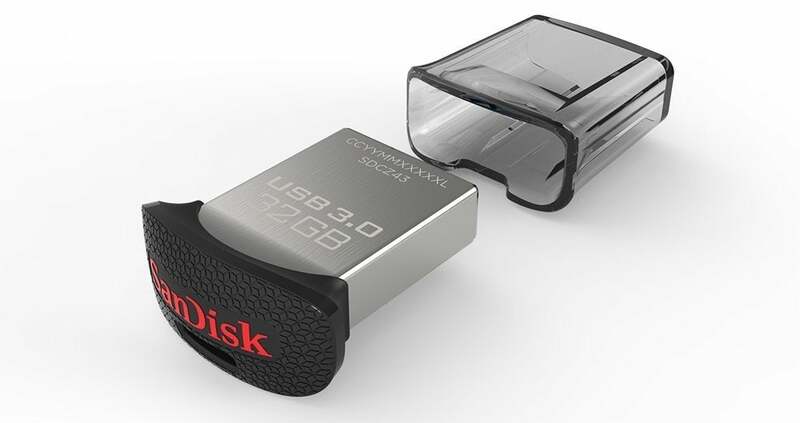 Today's the day for a good price on a 64GB low-profile thumb drive: Amazon is selling the SanDisk Ultra Fit 64GB USB 3.0 flash drive for $19. That's about half the price of other online retailers. Just make sure you keep an eye on this thing, as it is tiny. It measures 0.75-by-0.63-by-0.34 inches and snuggles right up to the side of your USB port. The thumb drive offers 150MB/s read speed, which isn't blazing fast but adequate enough. However, we don't expect it to bear out SanDisk's claim of transferring a full-length movie (about 1.2GB in size) in under 30 second over USB 3.0. Since this drive is so small, its limited ability to dissipate heat will slow its transfer rates. If you don't work with large files, though, it should perform fine. This drive also comes with an offer to download SanDisk's Rescue Pro Deluxe recovery software (PC & Mac) that helps recover accidentally deleted files. 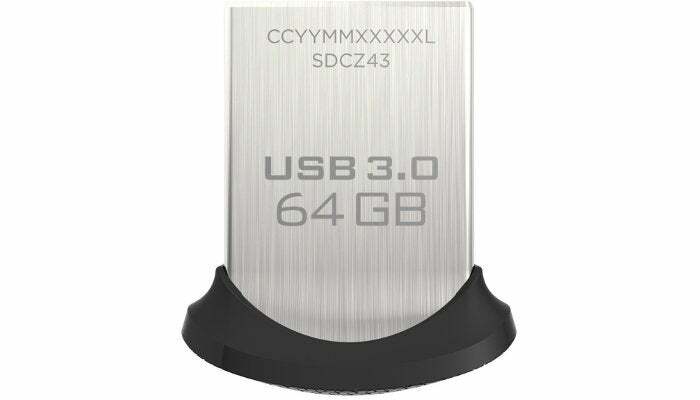 Amazon's sale is for the SDCZ43-064G-GAM46 of the SanDisk Ultra Fit. If you prefer to shop elsewhere, however, Best Buy has the SanDisk SDCZ43-064G-A46 on sale for the same price of $19. This drive is similar to the one on Amazon, featuring the same physical size and capacity. Best Buy's model is slightly slower though, with read speeds of 130MB/s.